Today, the PlayStation Blog confirmed earlier rumors of a re-release forLittleBigPlanet 2. We can't say we're surprised, since the previousLittleBigPlanet game had a Game of the Year Edition re-release, but here it is: both a limited edition title with all of the game's DLC thus far and a PlayStation Move hardware bundle are coming to select retailers on November 15. The LittleBigPlanet 2: Special Edition features the original game, PlayStation Move add-on content, the Toy Story level and costume pack, and the pets costume packs, all in one package. But if you're lacking in hardware and have got the requisite clearance for flailing in your domicile, then perhaps the PlayStation Move hardware bundle is for you. 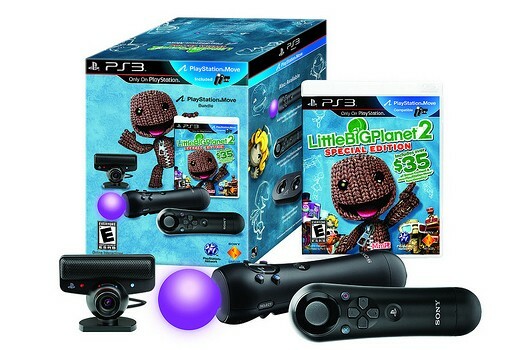 It includes the enhanced version of LBP 2, plus a PlayStation Move controller, a Nav controller and a PlayStation Eye camera. Sorry, no word on pricing, but we imagine the game will be $59.99 and the bundle will be somewhere around $149.99.